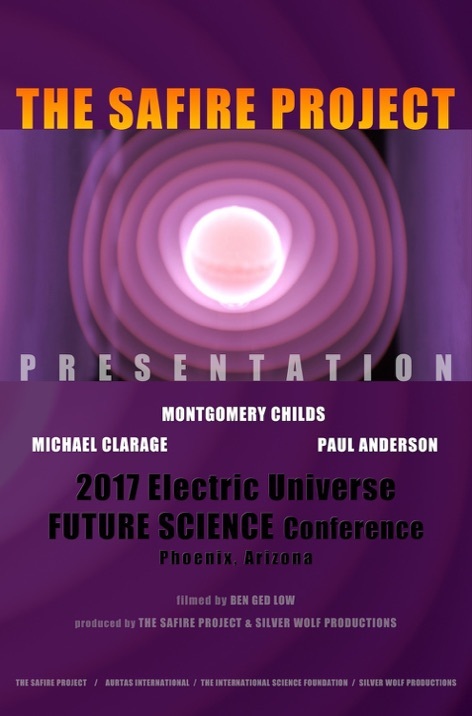 CLICK to view the 90 minute SAFIRE PROJECT presentation, given at the 2017 Electric Universe FUTURE SCIENCE Conference in Phoenix Arizona. 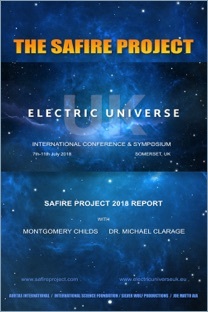 CLICK to open PDF in new browser window for the full PDF of the SAFIRE PROJECT REPORT. Use back arrow or tab to return to this page. 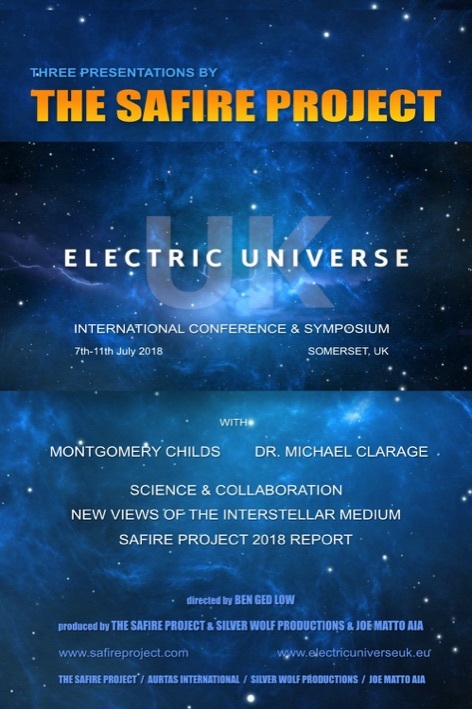 Montgomery Childs and Michael Clarage of the SAFIRE PROJECT will be presenting at the 2nd Electric Universe UK conference, the University of Bath, July 6th, 2019. Recent experiments suggest every element resonates to specific voltage ranges, creating organized stable structures of dark mode plasma in an electric field - the precursor to self-organizing visible double layers. The spherical visible plasma double layers work as a transforming capacitor trapping ions, electrons and molecules, generating energy densities analogous to the Sun. They appear to be the means by which nature produces extremely high energies. The implication? High energy production. Warm plasma nucleosynthesis is a primary component of Electric Sun models in which heavier elements are formed within the photosphere of stars, and not deep within their cores. 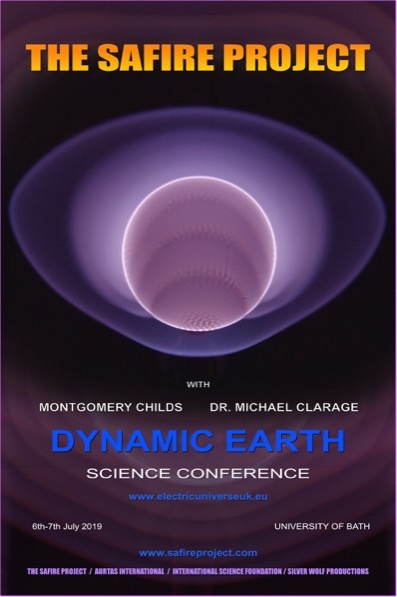 In 2018 Montgomery and Michael reported intriguing elemental changes on the surface of the anode. This year they will present new anode chemistry data, further supporting this line of exploration. 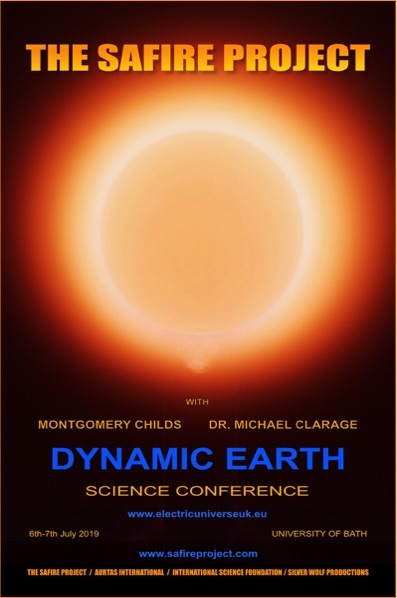 They will also be able to discuss in more detail the role that electric double layers play in creating a stable solar atmosphere. Based on recent evidence from the SAFIRE lab Montgomery and Michael are able to draw remarkable new connections between plasma physics, astrophysics and heliophysics. The new key developments will be described in detail, along with the specific technologies used to obtain the data, and how the data is being analyzed and interpreted. 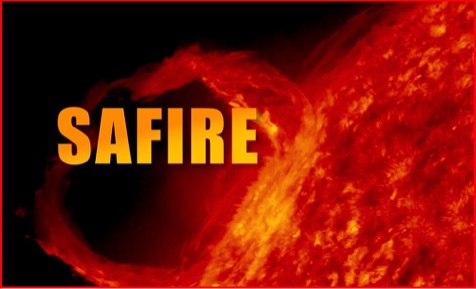 CLICK each thumbnail image to download PDF's of the 3 SAFIRE presentations. These are fairly large files. Allow time for them to load into your Browser, then 'save' them to your computer.